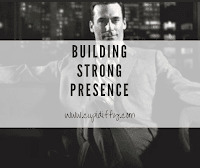 You may or may not have noticed this, but the stronger your presence, the more comfortable women will feel around you. Maybe they feel protected or maybe they just take on your vibe. I just know that is how it works. 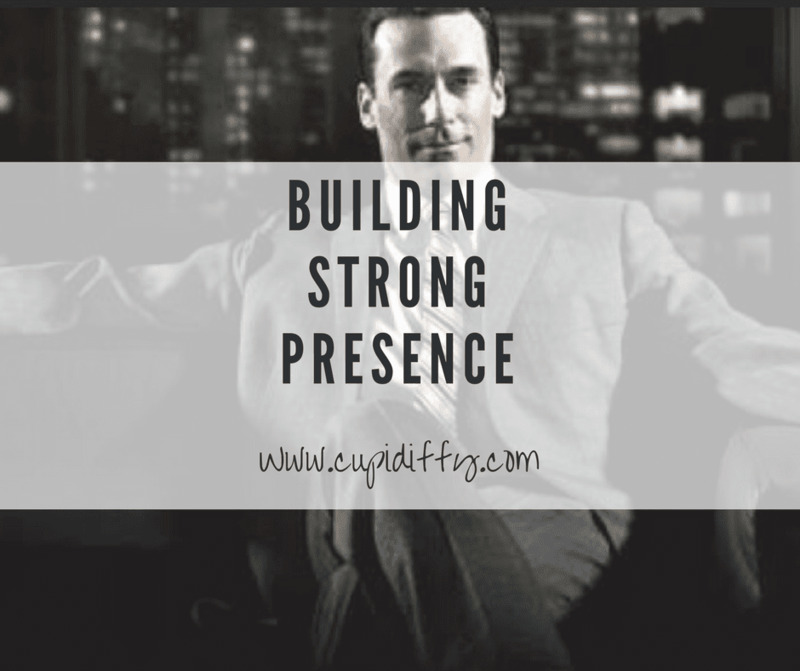 Presence is created by limiting unintentional (nervous) words or movements. When you limit your unintentional (nervous) words and movements you render your intentional words and movements more discernible. You will have uncluttered your communication. This will make your expressions more powerful and easily understood. This is presence. 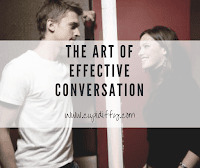 READ: Hacks For Comfident Body Language. Use a mirror or even better, videotape yourself talking for five minutes about your day. You will probably hate your voice - everyone does. But you will discover many things about yourself that you did not know were there. Body position: Its great to look relaxed. In general taking up more space makes you look more confident, while being hunched into yourself makes you look more timid. However that is not always the case. Much depends on the context of your interactions. I can imagine moments when being hunched into a ball is the confident choice. Lol. Movement: It is not necessarily about big movement. It is about increasing the signal to noise ratio. You can do that by increasing the signal or lowering the noise or a bit of both. Concentrate on expressing with the parts of your body that you need to get your message across in a strong way while you keeping the rest of your body still. This increases your signal to noise ratio. Try locking your body and only using facial expressions as you speak or only your hands. Notice the effect these have on your listeners. The more clear and uncluttered you can make your message the more audience will enjoy listening to you. Avoid the use of unnecessary phrases: Try to eliminate useless words and phrases. Phrases such as "You know, actually", broadcast insecurity by subtly checking for approval. Saying "uh," and my personal bane, "and," too much, clutter up your message. Using these is a sign you are feeling unsure of being able to hold a woman's attention. You are creating a constant stream of sound so that she cannot change the subject or say, "I gotta go". You are denying her the choice to listen to you. Use plain language whenever possible: Another benefit in using common language is that you will be free to concentrate on the vibe you are projecting. Talk in primary colors. Give up the need to be exact or correct in exchange for being bold. A final thought on presence and body language... Bringing out strong presence and getting your body language in shape may impress women. But that is not really the purpose. That would just pander to your approval-seeking side. The purpose is to make women feel comfortable enough to be part of an intimate interaction. It's not really about you.